Perhaps the grandest seat of Chivalry in the East is Llorn. And the heart of Chivalry in Llorn is without doubt the Mistoan War Academy which trains the finest (they will tell you so) of the Officer Corps in both the military and the mercenary forces of the Duchy. The graduates have a long history of serving with distinction, discipline, and impassioned service to the welfare of the East. Eastern Territory, pg 102 wrote: Mistoan War Academy: Named after General Mistoan, the Western Empire general who single-handedly united the people who settled the ruins that once stood where the VasPasseon palace now gleams. The academy is a virtual fortress in its own right with a curtain wall, a parade yard and a keep. Within the academy, the Knight trainees learn about military etiquette, strategy, supply and the code of chivalry in addition to combat and horse training. Graduates of the Academy are the equivalent of a Palladin and are entered in the rolls of the Mistoan Order. Typically the academy only accepts those from the noble and merchant elite. Upon graduation, the new Paladin is given a commission in the Llornian Militia or the Mercenary Corps as an officer. The recruit is required to fulfill an eight year obligation of service in either the Militia or the Mercenary Corps, or a combination of the two. Afterwards, the character is free to pursue other goals, though many choose to stay in the military. Graduates of the Mistoan Academy are traditionally awarded set of signature enchanted items after being knighted and inducted into the Order. The traditions and prestige associated with these items are more significant than the expense of their construction. 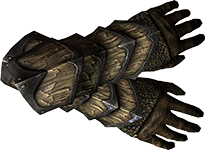 However it is noted that each item is left with one empty enchantment slot so that the weapons can grow with the bearer, leaving room for the owner to have selected additional qualities added later on in their career. None the less the Knights of the Mistoan Order are without doubt made well prepared for the travails they must endure when leaving the hallowed walls of the Academy. Double Damage To Evil: Weapon does 2x damage to any Miscreant, Aberrant or Diabolic alignment. Normal damage to targets of any other alignment. Appearance: A finely crafted longsword of dwarven steel. The fuller of the blade is engraved with the motto "Never draw me without reason. Never sheath me without honor." History: These blades are crafted in lesser imitation of the style of Western blade that Mistoan himself carried into the battles that forged modern Llorn. The maxim engraved upon the blade is said to have originated with the Lady mother of Mistoan, who commissioned the blade, as a reminder of just action to her adventuresome son. Fleet Feet: 10 minutes; 3/day. Superhuman Strength: 10 minutes: 3/day. Appearance: A thick bronze chain suitable to denote knightly station with medallion to the fore with the seal of the Mistoan Order. Engraved with the words "Justice" and "Temperance" on either side of the image of a balanced scale on the rear face of the medallion. History: The official emblem of station for Knights of the Mistoan Order. Those bearing an intact medallion and comporting themselves properly likely could pass themselves off as a member of the Order under most circumstances. Order members finding one in the possession of anyone else are prone to examine the situation very closely. The engraving on the rear face of the medallion is intended to remind the bearer of virtues they should be seeking to enact in their lives as Order members. Damage: Can be thrown about 15', inflicting 1D6 damage. A shield-bash does 2D4 damage. Indestructible: Cannot be destroyed by any means, save alchemy. Foebane (3x daily): Enables the user to identify the strongest life force (level/hit points/S.D.C/brute strength) among the enemies before him. Appearance: A sturdy wood and metal plated shield. Usually painted with the arms of the bearer. History: The shield is an ubiquitous accouterment of the knight and frequently is used to display their identity to friend and foe alike on the field. Almost a necessity for that reason alone it also can serve as a potent defense against many attacks that might otherwise significantly imperil the bearer. Multiple image: 20 minutes; twice daily. History: Given by Lord Coake to the knight Zero Moon many years ago; this enchanted platinum ring features a deep blue sapphire that is cracked in two. Though much of its power has waned there is still a faint enchantment at work.